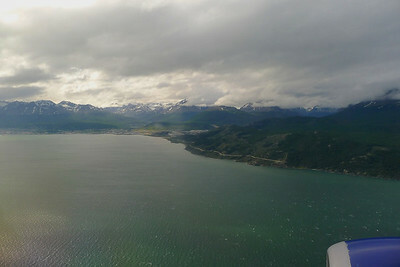 On approach to Ushuaia Airport. 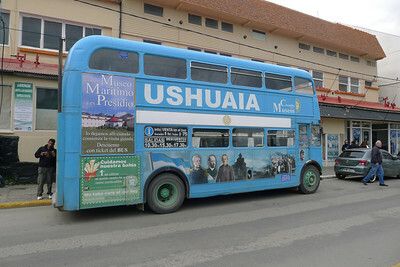 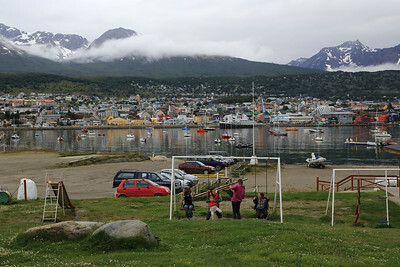 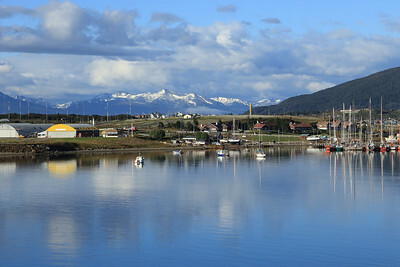 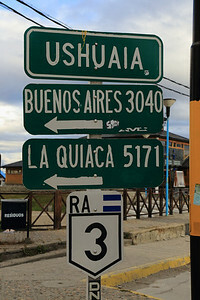 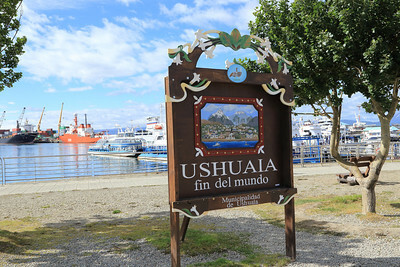 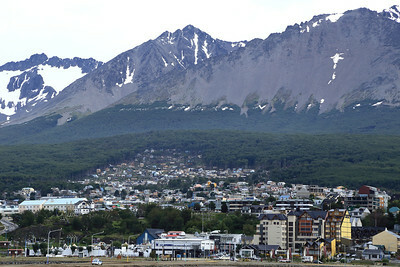 Ushuaia is at the foot of the Martial Mountain Range on the left. 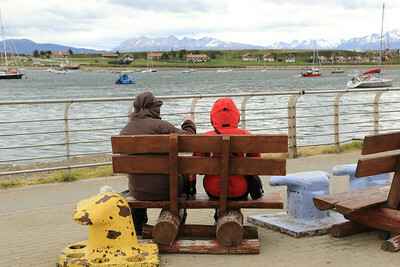 The flight left AEP late, which seems pretty typical but was not too bad on arrival. 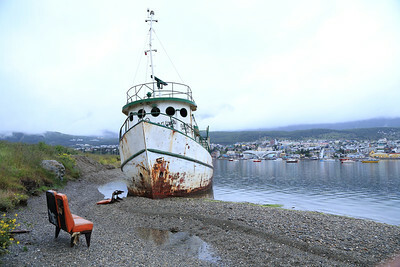 It was a good flight, meeting two of the One Ocean Exploration staff for the Vavilov. 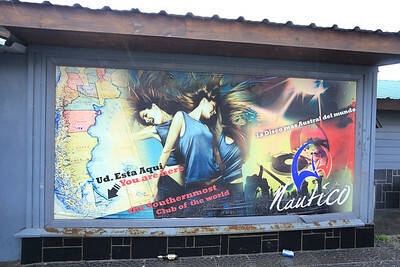 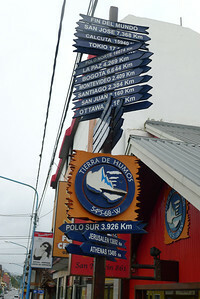 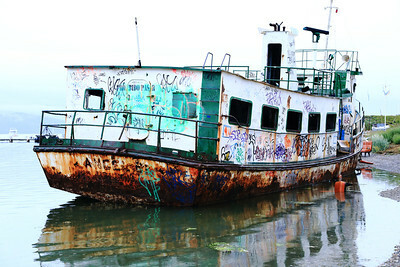 Nautico Club, claims to be "the southernmost club in the world", across from the Casino in Ushuaia. 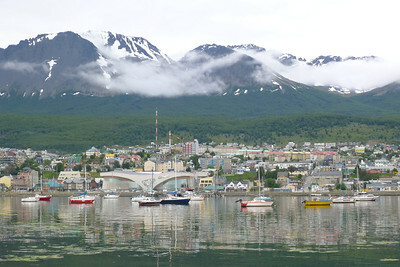 Ushuaia view from marina dock, the Casino is prominent.